Daz Studio - download in one click. Virus free. Download the latest version of Daz Studio with just one click, without registration. It is a standalone setup package that contains the full offline installer for Daz Studio. 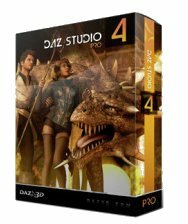 Daz Studio is a professional application for 3D artists that allows customizing and creating full 3D scenes both as a static image and an animation. It works mostly with preset models: you import a ready model into the program and adjust its appearances and pose to your preferences, creating a new character or even a whole new scene. This software provides a great opportunity for 3D art beginners with the most friendly user interface and highly comprehensive layout of the program features. In addition to that, the developers offer a lot of how-to manuals and tutorials about 3D design. 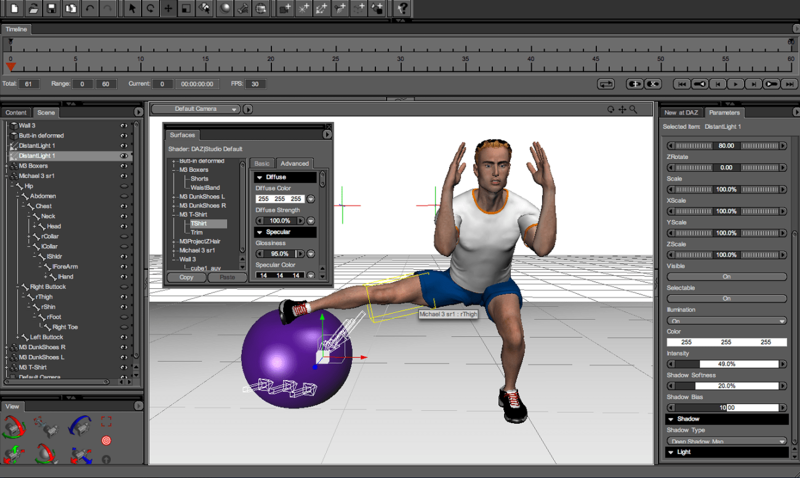 While Daz Studio hasn't many options for modeling from a scratch, it still can be extremely useful. It has quite detailed morphing controls and extensive libraries of clothing, textures, and whole environments. Basically, working with this software is much alike to solving a puzzle with pieces combining into a great 3D art. The basic version of the software provides enough models to get started and figure out Daz Studio interface and its capabilities. However, to use the app to its full potential, you will need to buy more detailed models and textures from the developers online store. The latest upgrade offers a powerful search with great filtering functions, so you can easily find what you need at the moment. All in all, Daz Studio seems to be a quite useful program with a wide range of functionality which can be irreplaceable to get started in such complex field as 3D modeling and rendering. It has its limitations, but most importantly it brings you fun and rather simple 3D experience, so you can decide if you're ready to get into it further. So, if you've ever felt interested in 3D art, but have never started your creative path in it because of the severe complexity of the field, here's your chance! Try out Daz Studio - for free!